Rigoberto Sanchez, former Tehachapi Prison guard, was found guilty on all counts in the death of Edwin Lima, who was also a Tehachapi Prison employee. 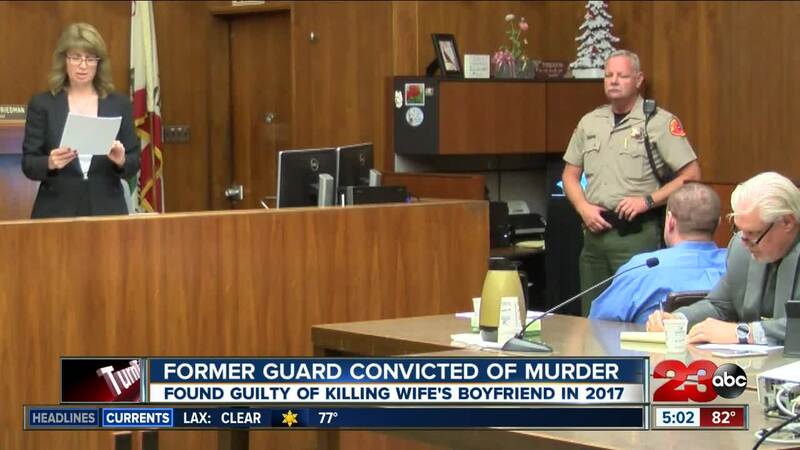 Sanchez was found guilty of first degree murder of Edwin Lima, felony attempted murder of Sanchez' estranged wife, shooting in an inhabited dwelling, assault with a firearm, and first degree burglary. Sanchez was accused of shooting and killing Lima last May. At the time, Sanchez allegedly also shot at his estranged wife. She was not hit. Sanchez is expected to be sentenced on October 17. He will be held without bail until that time.